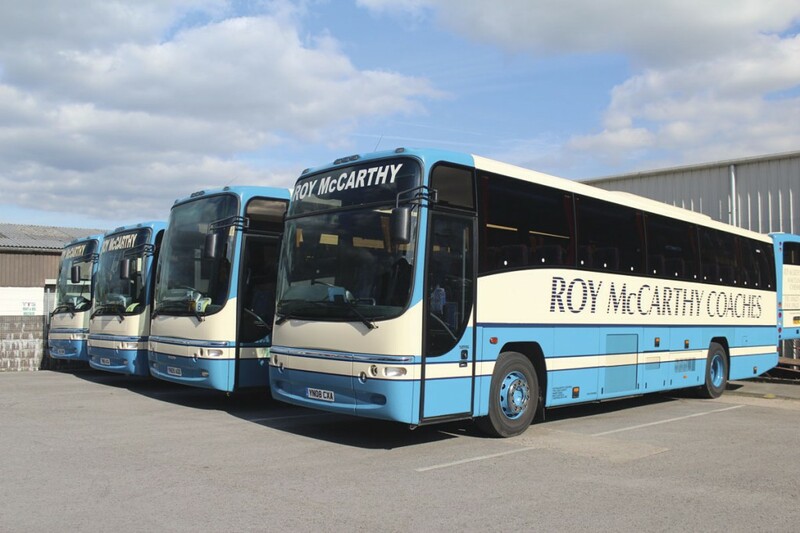 The McCarthy family was an industrious one, the coach business representing a new strand to an empire that already included a grocer’s shop in Hurdsfield run by Roy’s wife, Margaret. This served workers at one of the silk mills for which Macclesfield was once famous. They manufactured parachutes during the war but the entire operation has now gone. The couple had three children, Andrew, known as Andy, born in 1959, his elder sister Sue (Lomas) and his younger sister Chris (Pratt). 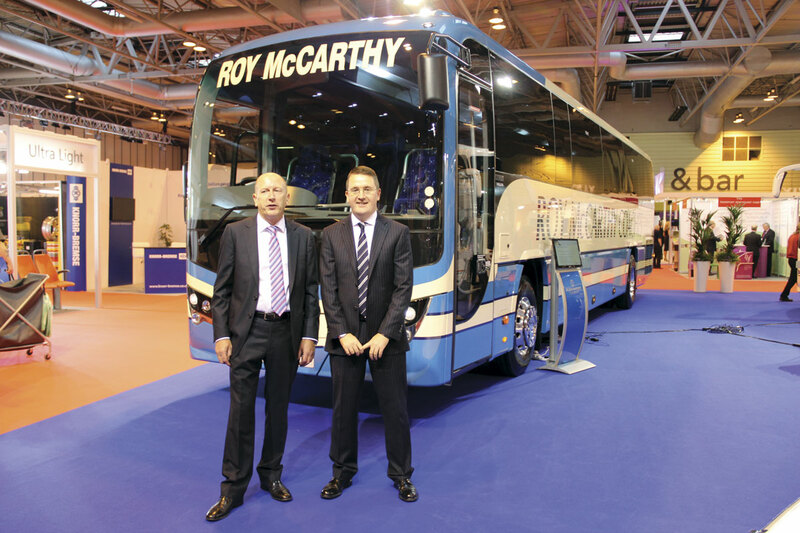 Roy, who was a fastidious cleaner of coaches, gradually built up the business, soon acquiring a Ford Transit minibus too. 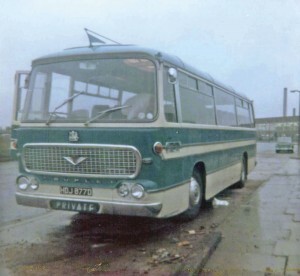 The 41 seat Super Vega was replaced by a 45 seat Bedford VAM5 Duple Bella Venture, which in turn was replaced by a G-suffix Plaxton Elite bodied Bedford VAM70 that was probably around four years old at the time. 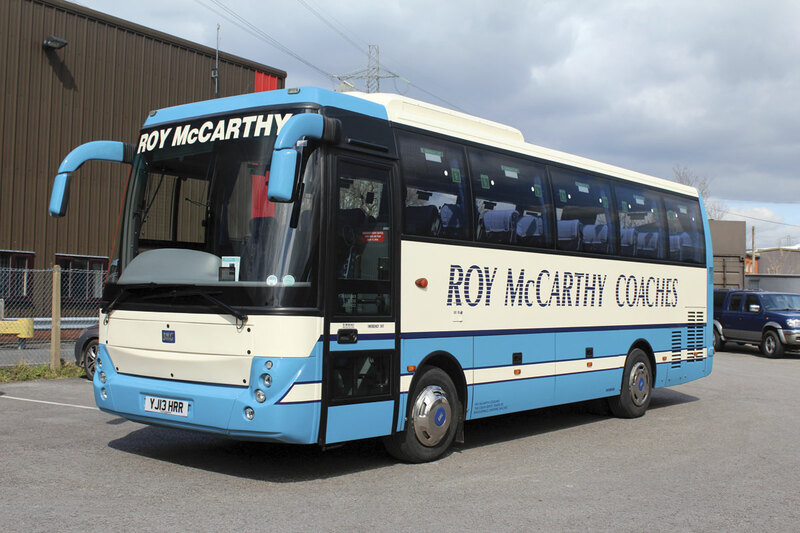 With this coach the first school contract was won, helping to supplement the private hire work that had been the main work up to that point. From the outset, private tours had been operated, Roy having built up a clientele while with Lomas that included the local Derby & Joan Club. 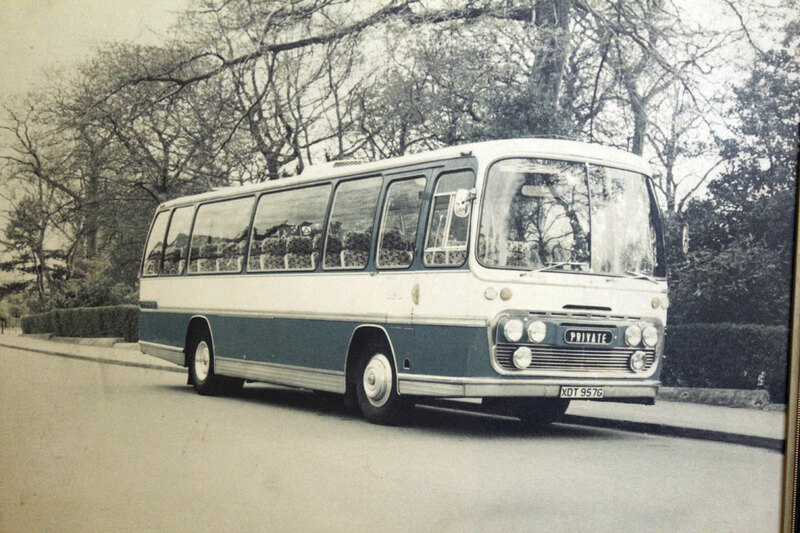 A second used Transit was acquired and together with the first the minibuses took old people to a day centre and carried children with learning difficulties to another day centre, as well as doing private hire work to theatres and night clubs, the latter something the company no longer takes on. 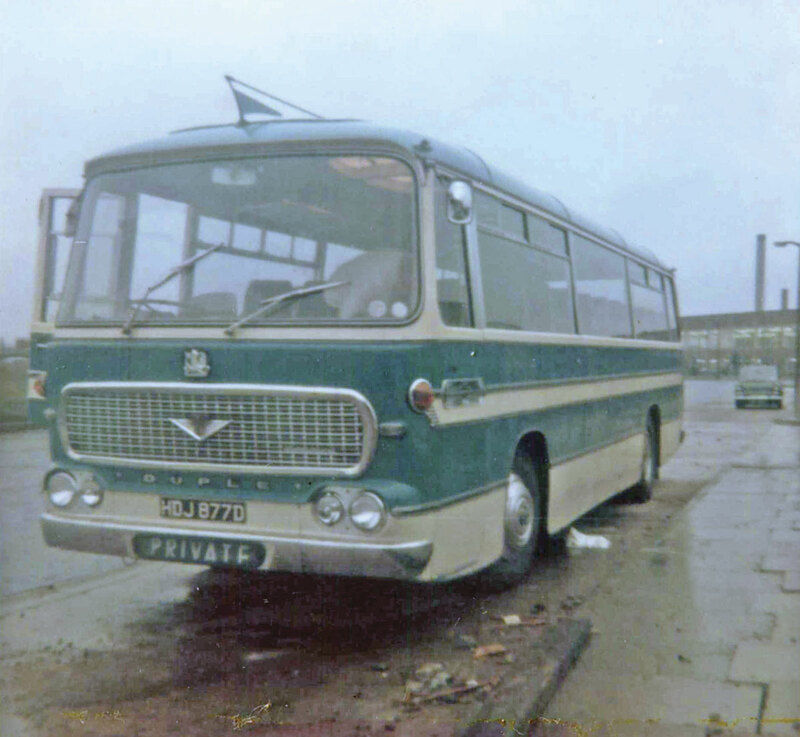 It was the Derby & Joan Club that Andy took to Cliftonville in April 1981 on the first tour he ever drove. He had taken a party of scouts to Halifax the previous day and snow had closed the M62. 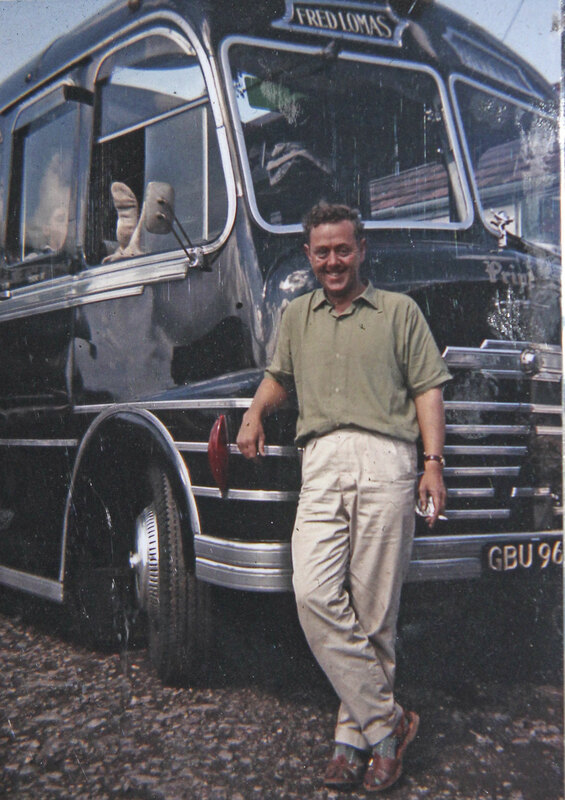 He left school at 16 and undertook a commercial apprenticeship at Ben Goulden & Sons – Commercial Motor Engineers, a specialist Bedford garage. ‘It was a great grounding, we did major engine jobs all of the time,’ he recalled. It always was the plan that he would work for his father, ‘I knew what I was going to do from the age of ten, though I’ve burned out now,’ he said. When he did join his father around 1980/81 the fleet stood at five large Bedford coaches with 29, 45 and 53 seats and two Transits. 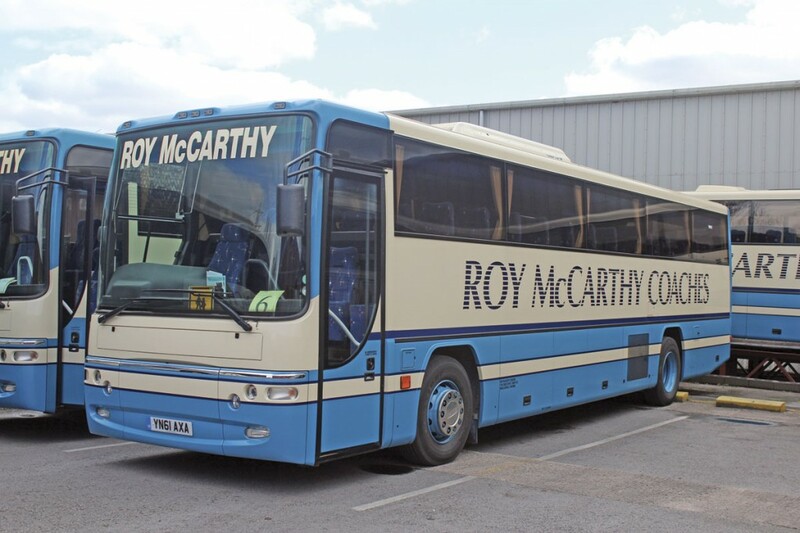 Today, Roy McCarthy Coaches remains a traditional family business, with Andy at the helm, Chris running the office and, when she’s not on holiday, Sue driving, as she has for more than three decades. Sue’s husband, Mick Lomas, was a partner in the business for 30 years until coming out of it three or four years ago when the business became a limited company. 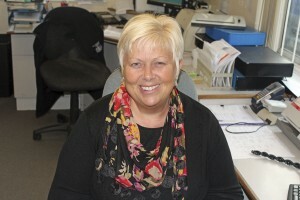 Andy’s wife, Lyn, looks after the accounts and their sons Danny and Max are both now with the company. Danny took a mechanical Engineering Degree at Coventry when he left school and had a ‘proper’ job as a Design Engineer at JCB before joining the company. His time there included six months working in India. Max did a Transport Management degree at Loughborough and a one year work experience placement with the Oxford bus Company under Philip Kirk. After finishing his degree they asked him to go back to run Thames Travel for one year, which he did. He is still only 25. Drivers are important at Roy McCarthy Coaches and most have been there for quite a number of years. There are five full timers which with Andy, Danny and Max goes up to eight and in addition there are six regular part timers, including Mick Lomas. 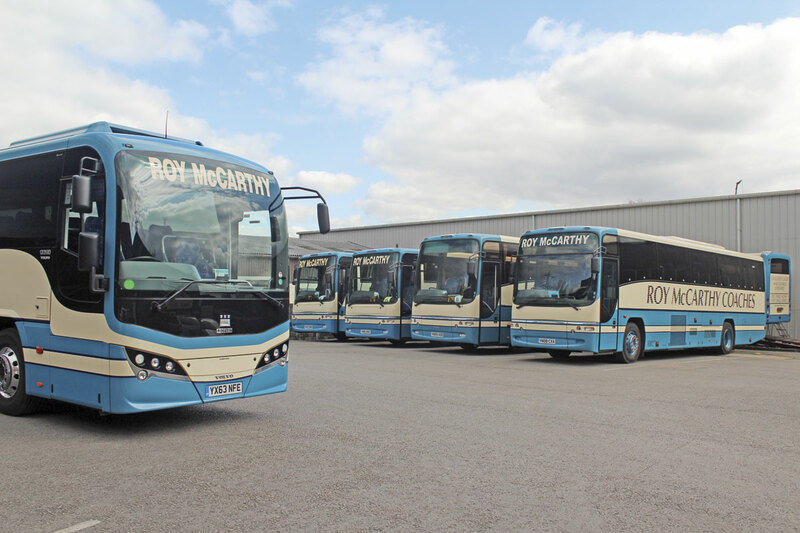 The Company has a team of very reliable drivers, most of the full time staff have been with the Company for over 10 years and some over 20 years. 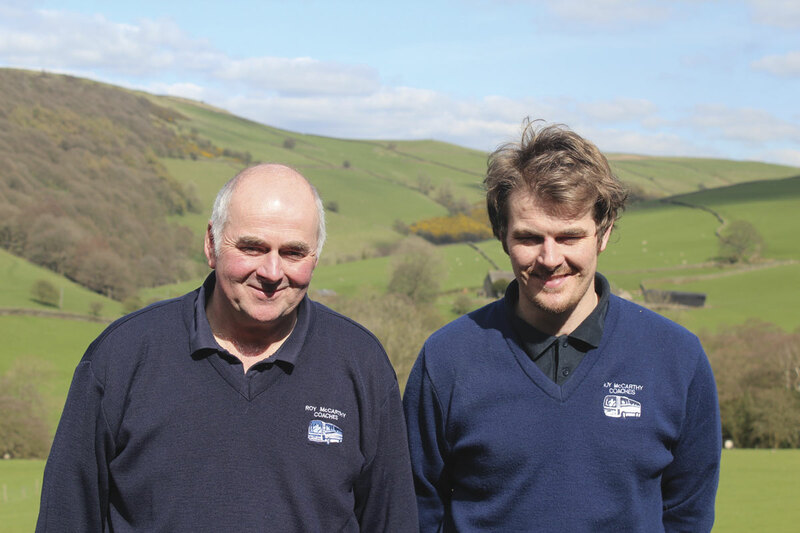 Three drivers have driven with all three generations of the family. He believes it is crucial to have the right wages to attract the right staff. ‘All of our school runs are to private schools and when the end user is paying for it they demand a good job. You’ve got to be on the ball. There’s always either me or one of my sons here to make sure they go out on time, not that we’ve got any drivers who’d let you down. We have a rule: check what you’re doing, check your vehicle and fuel up before you stand and talk,’ he said. 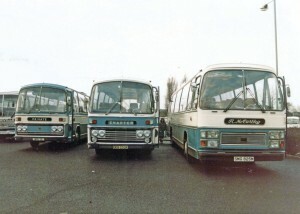 Since the acquisition of a new Dennis Javelin in 1994, most purchases have been of new coaches, an exception being a very low mileage 2000 Paramount 3500 bodied B10M from Blagdon Lioness that stayed until 2012 and was the last manual in the fleet. 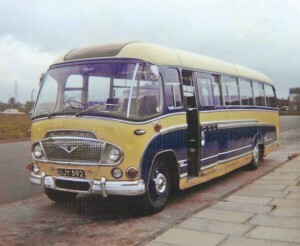 Volvo is the dominant brand in the current fleet, though there are still three Dennis Javelins owned, one Bedford and a BMC. 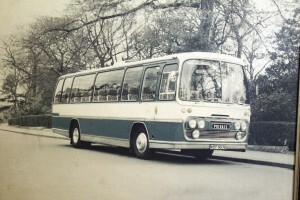 Carrying 59, 60 and 61 plates, all of the Javelin trio have Plaxton Profile bodies with two seating 57 and the 60-plate coach seating 70. Andy likes his Javelins commenting, ‘They’re brilliant motors; for the work we do they’re perfect. 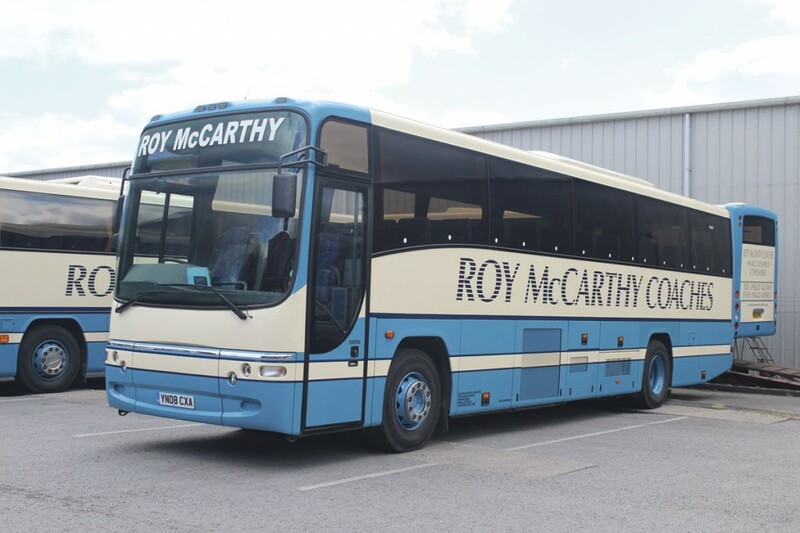 If I could have more new I would.’ However, he admits, ‘the drivers don’t like the 70 seater because it has too many belts, it’s more difficult to clean out and it’s guaranteed to have kids on. 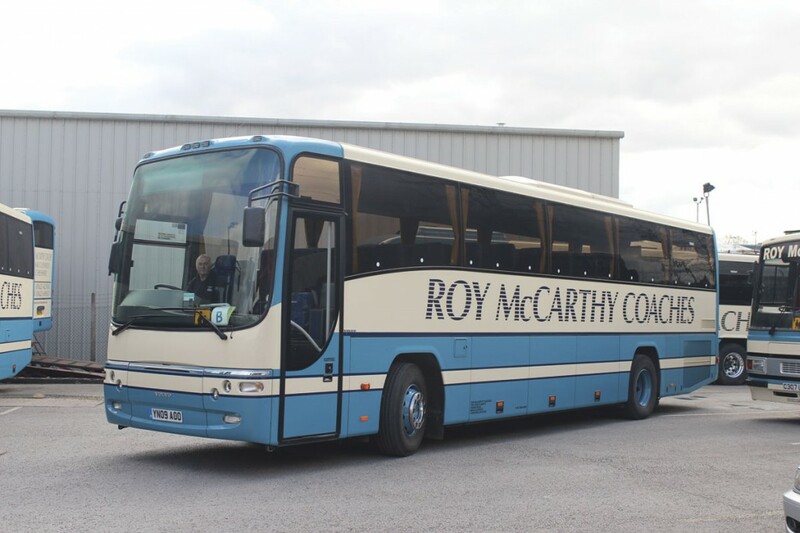 It’s something to whinge about.’ There is a lot of demand from schools for the 70 seater and it means sometimes they can get away with hiring fewer coaches. The six Volvos operated are of three different types. There are three B12M Plaxton Paragons, there is one B12B Paragon and there are two B9Rs, one with Panther 2 coachwork and the other with the new Leopard body.